Let your eyes take your breathe away! The unmatched clarity of 4K cinema is now ready for home theater with 4K movie theater projector technology. Delivering greater than 4 times 1080p resolution, anamorphic 3D, and 1080p to 4K upscaling, nothing comes close to the 4K projectors. Audio accounts for 50% of a movie A good 5.1 system will give you a full surround sound experience. A 7.1 improves the directionality of sound effects and adds to the audio ambience of 3D. A 9.1 system adds front height speakers to take advantage of Dolby® Pro Logic® IIz. A Dolby Atmos system creates audio "objects" and overhead sound to create a true multidimensional audio experience. Having a private movie theater at home was unattainably priced to the average consumer but there is a new revolution on the move. Our Projection screen has raised the standard and lowered prices allowing home theater aficionados with even the most conservative budgets to enjoy the thrill of a big screen experience in their own homes. The New High Speed HDMI cable with Ethernet has an additional data channel (ethernet channel) and enables AV components, such as AV or media receivers etc, to be linked up to the Internet without the need of extra network cable. Home theater's acoustic is as important to the system's sound quality as any other component. You can improve the sound with a new amplifier, or the new speakers; however, if your room isn't acoustically optimized, you still won't get maximum performance from your system. Adding acoustic treatment is probably the easiest and most effective way to improve your HT environment. Setup an ultimate Home theater with Audio Gallery Coimbatore. Home theaters are becoming as common place as microwaves and refrigerators in our homes. The Audio Gallery Coimbatore will help you installing home theatres into your home ! 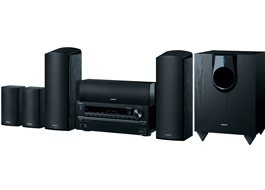 Discover pure sound and incredible picture with Home Theatres Packages. Transform your home with a rich entertainment experience. Transform your home to match every mood, and make every night a blockbuster night. Audio Gallery firmly believe in doing things right, there are many ways to design an Home Theatre system, but there will be only one solution that is correct and perfect for your requirement. This means understanding what you want to achieve and recommending the appropriate package within your budget. We have no allegiance to any manufacturer and are completely independent in our specification of products. We want to offer the complete service to you, not just shift boxes. "I can see clearly now" Whatever level of investment you make in your home cinema room, unless the system is calibrated and optimised you will never get the best out of the equipment you have purchased. As with any high performance sports car, the tuning of the engine makes the difference between average performance and exceptional performance. The Audio Gallery have a trained Sound & Visual Engineer as a staff allowing us to get the very best picture & audio performance out of all the screens, speakers and projectors we install. In multi room applications a simple, effective level of calibration is performed but in the main lounge or cinema room full ISF calibration (ISF is the defacto industry standard for the calibration of video equipment) can get every last detail from your high definition equipment making truly life like images. One-stop destination for world class home theatre and high end audio solutions, located in the heart of Coimbatore.